We’re superheroes. We save the world. It’s what we do. Doctor Devastation has finally been nabbed by the Good Guys! The supervillain was picked up just today for jaywalking, but can only be held for so long before his team of lawyers bail him out. You’ve been called in to infiltrate his office, and find out what evil machinations he’s been up to. Work quickly through his traps and puzzles, and shut down his nefarious plans once and for all, but make sure not to trigger any deadly security measures! We found ourselves with a large gap in our escape schedule during our last trip to Charlotte and were looking to fill it with another room, (because what else is there, really? ), leading us to seek out a business we’d not been to before. Masterpiece Escapes had a few interesting themes, and when we reached out, they were more than welcoming, so we decided to give them a shot! Most rooms that we passed were decorated to fit their theme, which is always one of my favorite touches, so I had high hopes! Metro Mayhem accomplished something that has become rarer as I have escaped more and more rooms, which is provide me with a genuine surprise! I can’t elaborate too much without spoiling anything, but there were three separate occasions in which something triggered that I absolutely did not expect. The room expertly ratchets up in intensity as the game moves forward, subverting initial expectations and delivering a challenging puzzling experience throughout. 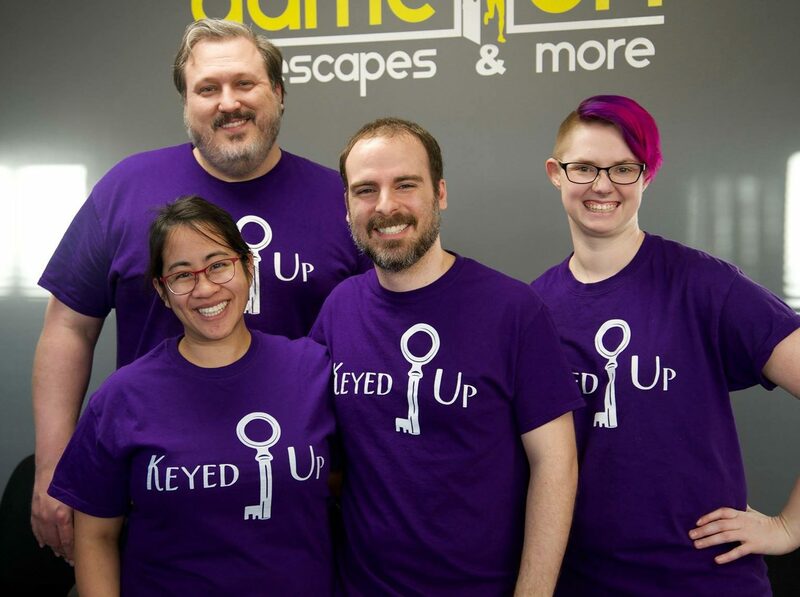 Several original, hand-built props and large scale puzzles are a lot of fun to interact with, bringing the whole team together to overcome obstacles. The climax is appropriately exciting and well integrated with the theme of the room. There were a couple of points in which technology had failed, so we did not get to experience the full potential of these sections of the game, but workarounds were provided so as not to get in the way of the flow of the puzzles. One of the penultimate puzzles was an interesting idea, but the excitement of that particular interaction wore off as it took quite a while to fully complete. Metro Mayhem, which I was surprised to hear is Masterpiece Escape’s first room, is a skillfully crafted escape experience that provides entertaining surprises throughout. Beginners and enthusiasts alike will enjoy this superhero adventure, and I very much look forward to visiting again to take on their other rooms! Book your showdown with Doctor Devastation here! Full Disclosure: Masterpiece Escapes provided media discounted tickets for our group.